There are over 4,400 Maya sites throughout Latin America, with many of them located in Mexico. One could easily spend a whole lifetime exploring all the ruins in Mexico. 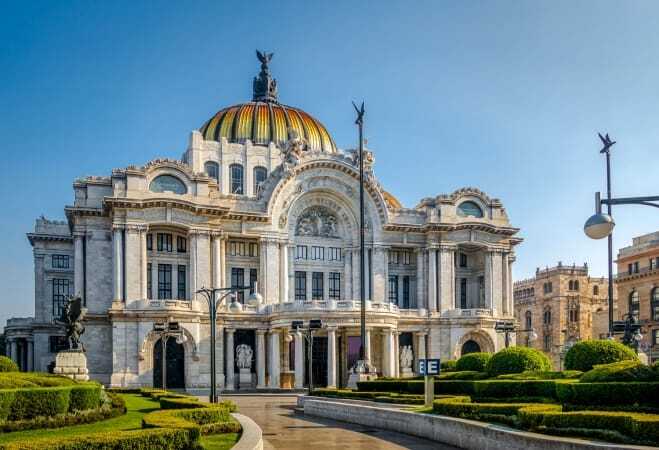 But since you probably don’t have a lifetime to spare while on vacation in Mexico, here are some of the best Aztec and Mayan ruins in Mexico. 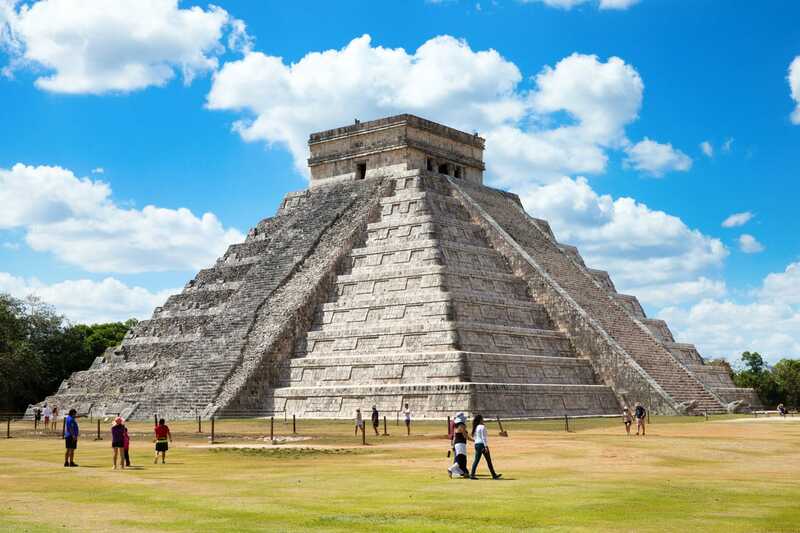 Right on the Yucatán Peninsula sits one of the most visited archaeological sites in Mexico, Chichen Itza. When many think of Mayan pyramids in Mexico, the dominating El Castillo, a 30-meter tall step-pyramid, comes to mind. Chichen Itza is one of the Mexican ruins near Cancun, so it makes an easy day trip. 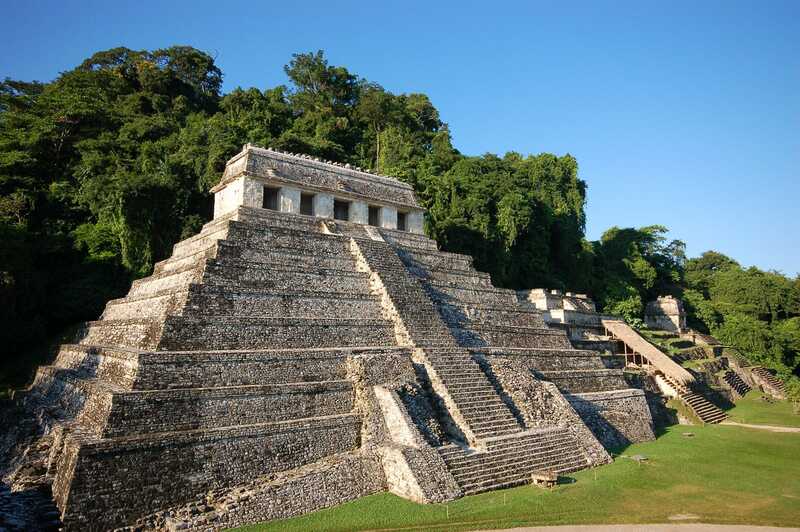 Its beautiful jungle surroundings and impressive architecture have consistently made Palenque one of the best Mayan ruins in Mexico. You’ll be welcomed by the sounds of parrots and monkeys as you wander through the limestone pyramid tombs and temples. Its crown jewel is the Temple of the Inscriptions, where the crypt of the ruler Pacal lies. 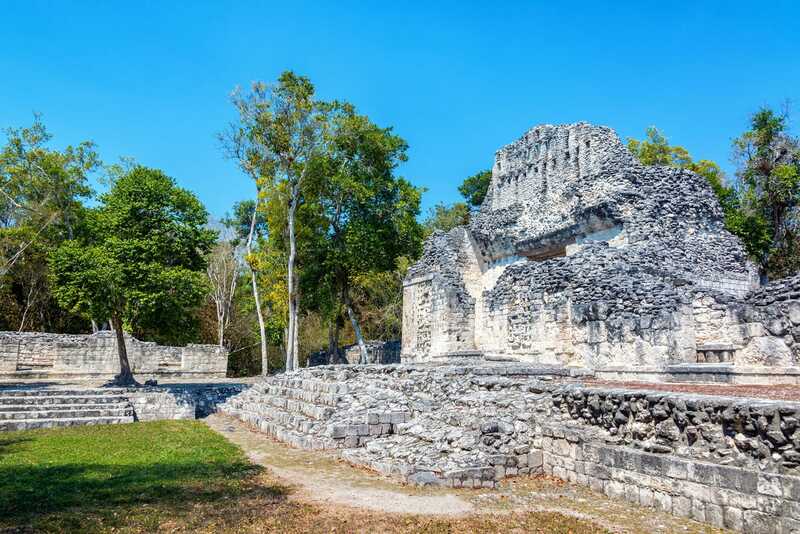 One of the tallest Mayan temples in Mexico has its home in Calakmul, and the best part is you can experience it without huge crowds of tourists. 6,750 ancient structures have been discovered here, but the adventure-lovers are determined to take on the challenge of climbing the 45-meter pyramid. Only 35 kilometers from the border of Guatemala and in the jungles of the greater Petén Basin region, Calakmul is quite remote, but definitely worth the effort. 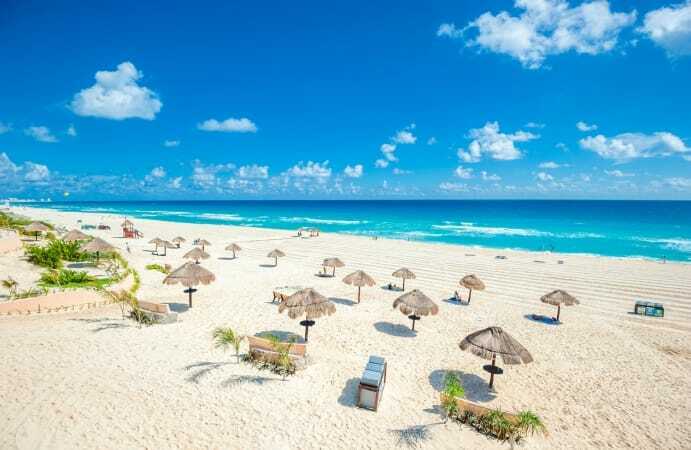 While the Mayan ruins of Tulum may not seem as grand as other ancient ruins in Mexico, its Caribbean coastline more than makes up for anything its lacking. 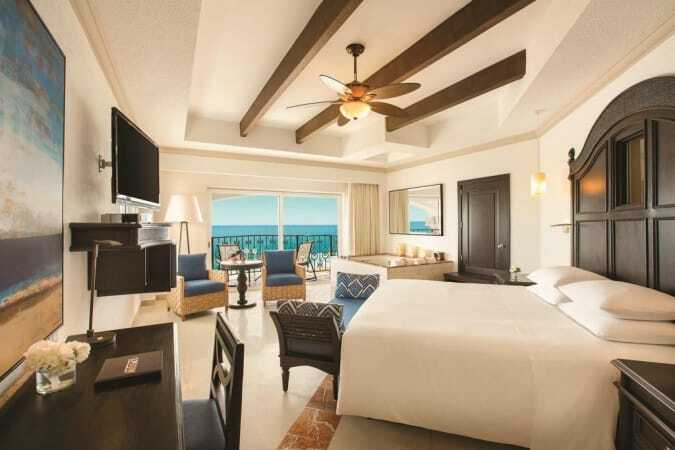 Tulum is highlighted by El Castillo, a cliffside stone structure that overlooks the beach and sea. Not only will you see ruins and admire the three major structures on your trip to Tulum, but there’s also a stunning beach to enjoy right within the ruins. 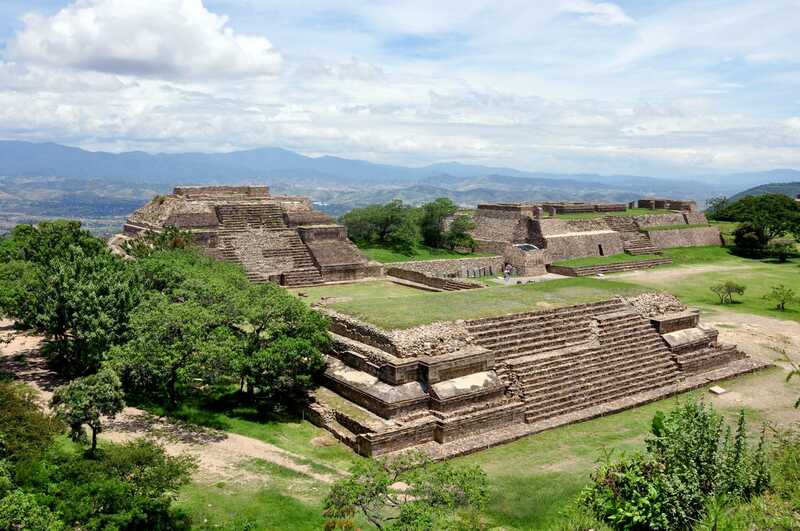 Monte Albán is one of the most culturally rich ancient Mayan ruins in Mexico, and it doubles as a fortification. 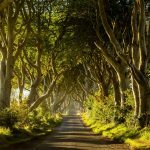 It includes palaces, temples, a ball court, and an observatory. 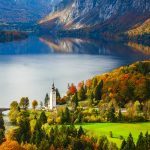 Because it sits 400 meters above the valley floor, you’ll also get stunning 360-degree views of the city, mountains, and valleys. While its origins are uncertain, many consider Teotihuacan to be some of the greatest Aztec ruins in Mexico. 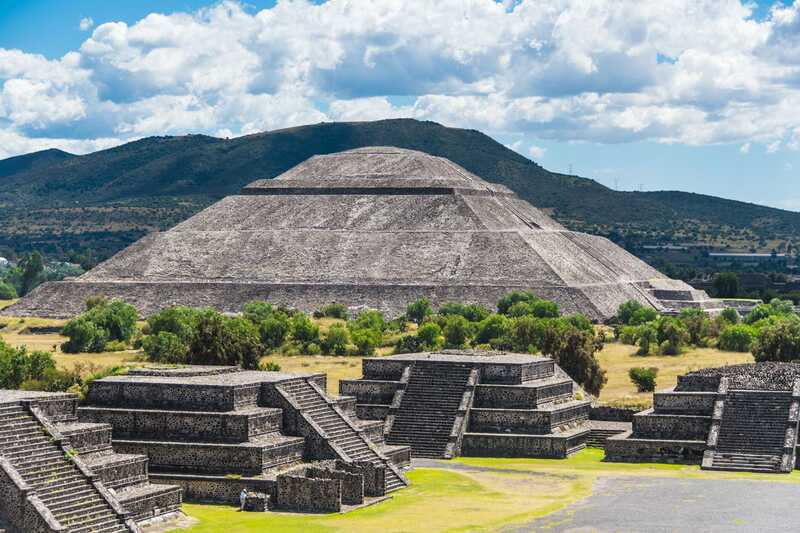 The sprawling site is best known for its two huge pyramids – the Pirámide del Sol (Pyramid of the Sun) and the Pirámide de la Luna (Pyramid of the Moon). 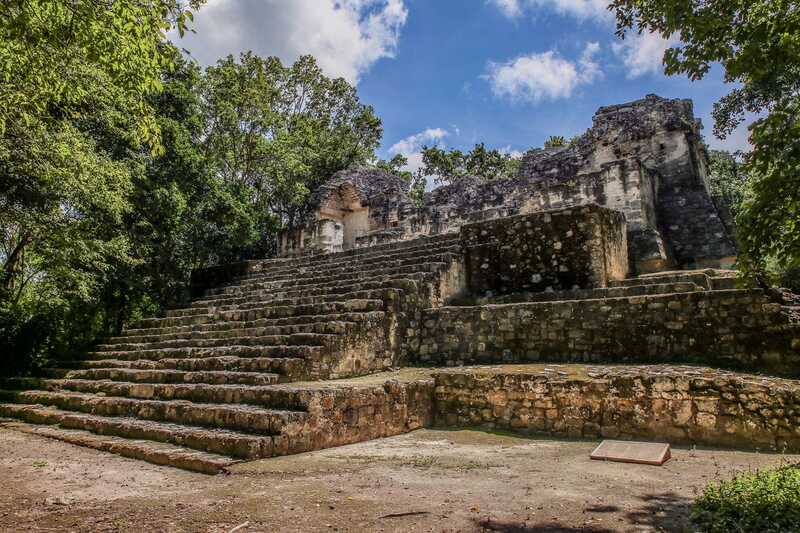 New to the tourist radar, Ek’ Balam has quickly made the list of best ruins in Mexico. The walled city contains 45 structures, and you can even climb the main pyramid for amazing views. Ek’ Balam is widely known for the preservation of the plaster on the tomb of King Ukit Kan Lek Tok’, who is buried in the largest pyramid. 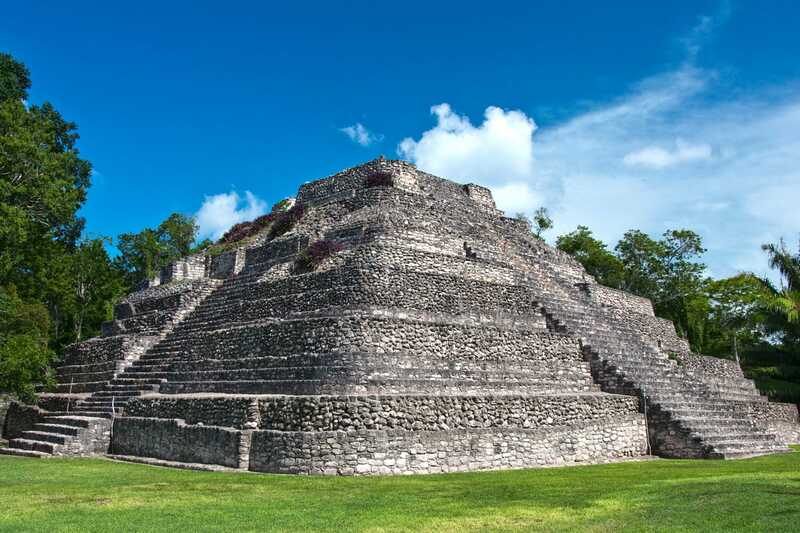 Yaxchilan was one of the most important and most powerful ancient Mayan cities; it even had a rivalry with Tikal, the largest Mayan city located in Guatemala. Its location on the bank of the Usumacinta River means it had river commerce control and many alliances. 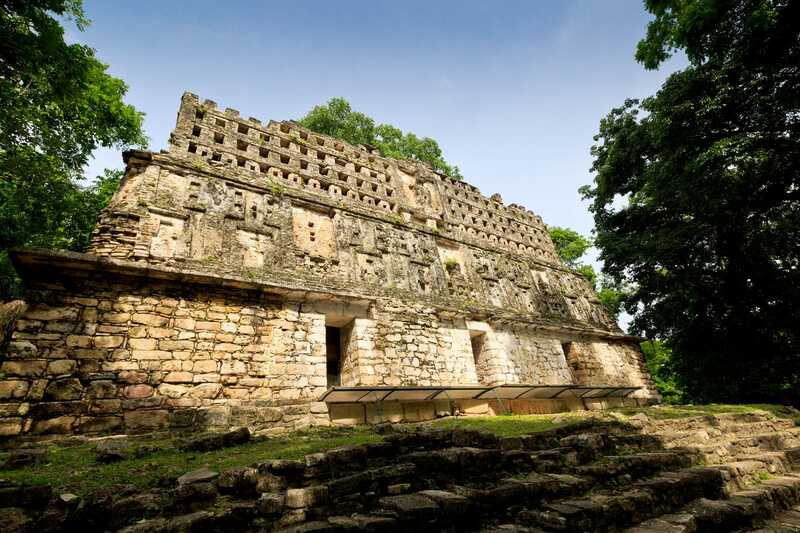 The archeology of Yaxchilan draws many visitors because of its embellished roofcombs, facades, and carved stone lintels. Bonampak has some of the most famous Mexican ruins because of its painted murals. Head to Structure 1 (or the Temple of Murals) where history comes to life. These murals tell the story of King Chan Muwan and his wife, Lady Rabbit, Bonampak’s last ruling family, and they portray the king’s accession and celebration, acts of self-sacrifice, and warfare. 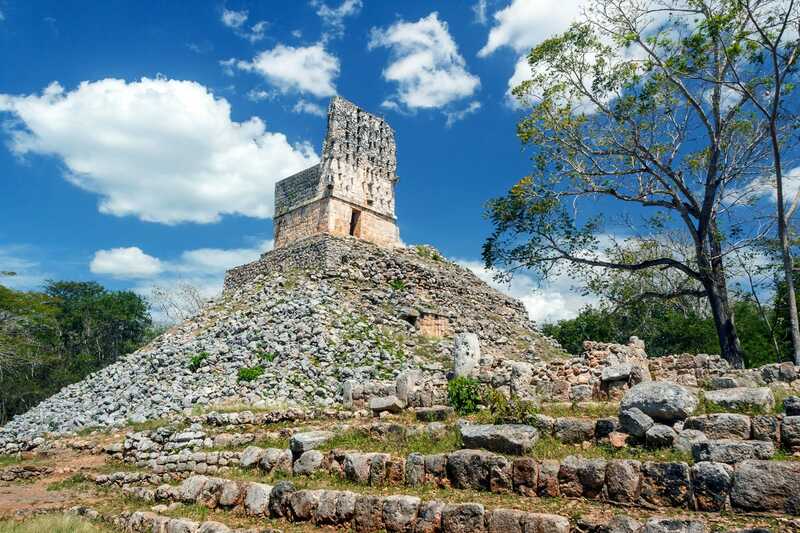 These renowned ruins are famous because Coba is the site of the largest network of stone causeways (also called sacbes or white roads) in the ancient Mayan world. 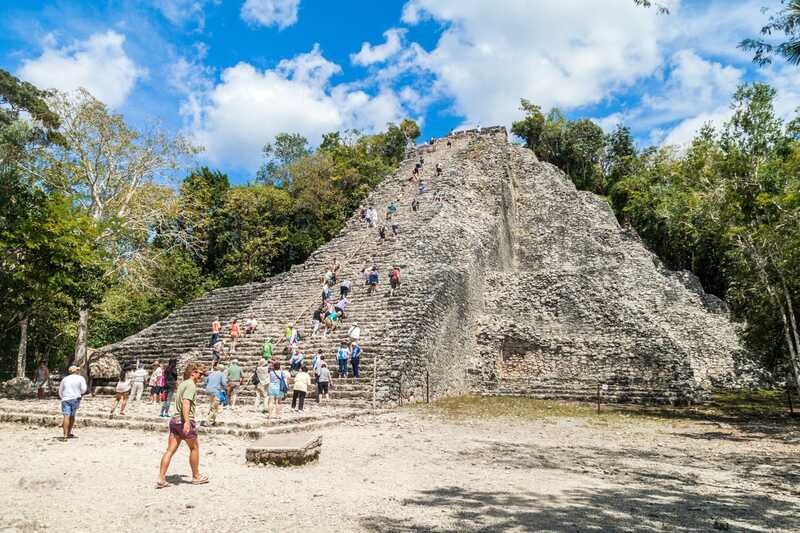 Coba’s Ancient Pyramid is open to the public if you want to climb the 130 steps. It’s a popular tourist destination, but it’s not overrun with tourists, so you’ll still get the forest feel because it’s not as excavated as some other ancient Mayan cities. Because Uxmal is considered one of the most important Mayan archaeological sites, it has some of the most crowded ruins in Mexico. Don’t let the crowds dissuade you because the structures are very ornate and in great condition. 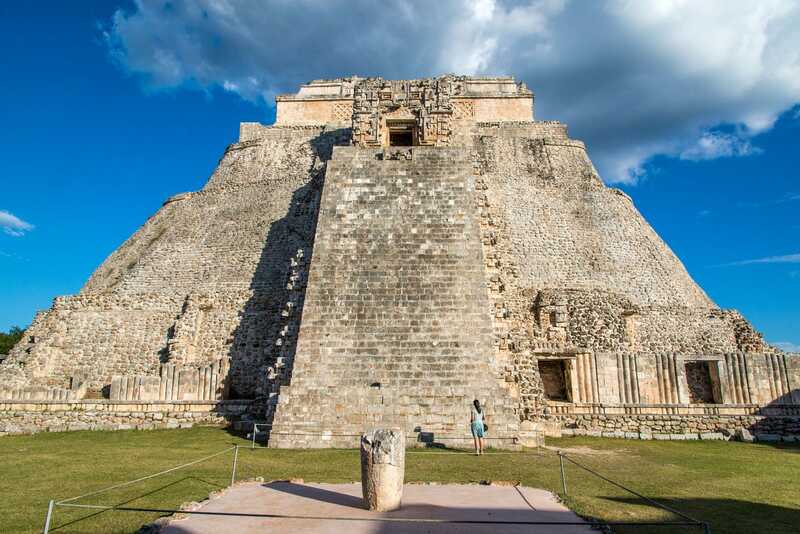 Other than the impressive ruins, Uxmal holds a nightly show with lights and sounds, and is also home to Choco-Story, a museum where you can learn the history of chocolate. 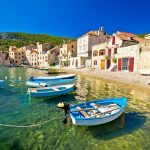 The style and features of Edzná make it a city that everyone wishes they visited sooner. 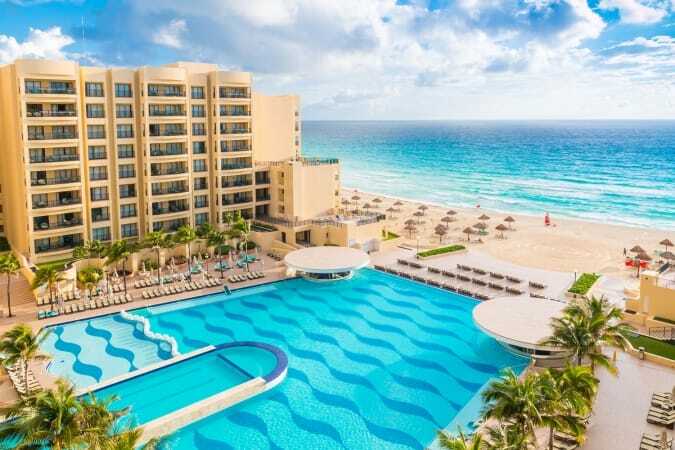 It’s best-known for its five-level structure that perfectly combines a pyramid with a palace. The Great Plaza and the ball court are also significant sites within the ruins that you’ll want to bring your travel camera for. 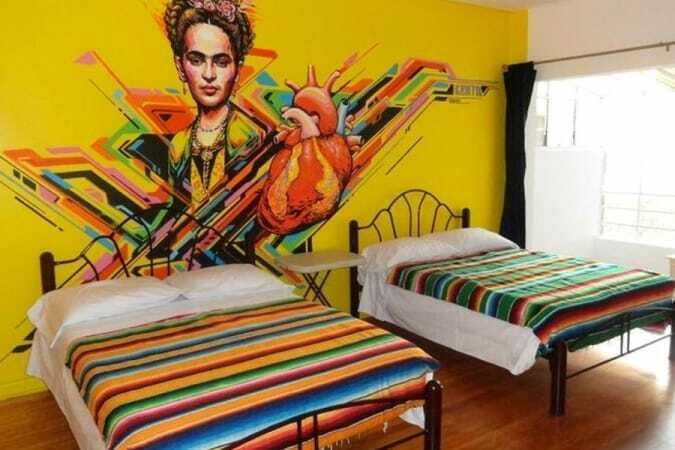 Based on the grand quality of decoration, it is thought that Chicanna was home to the elites in the region. Its detailed buildings also mix architectural styles, so visitors get to admire features of the Río Bec, Chenes, and Puuc styles. 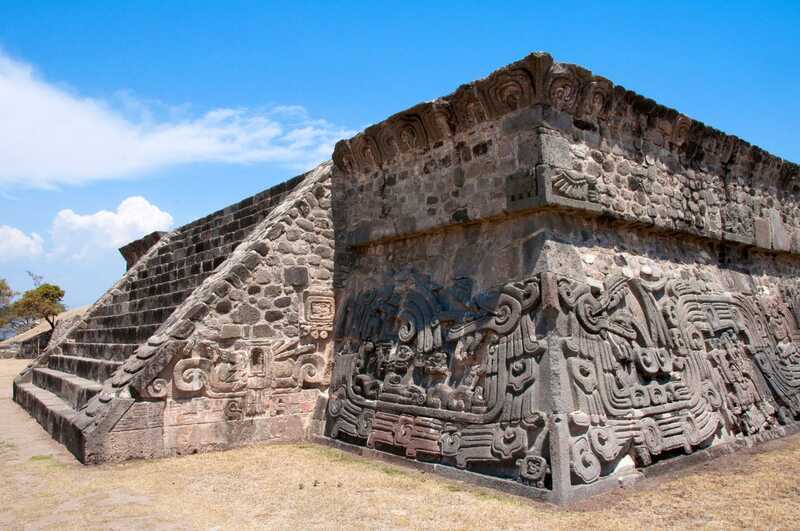 On the east side is Chicanná’s famous Structure II, which has a gigantic Chenes-style monster-mouth doorway. 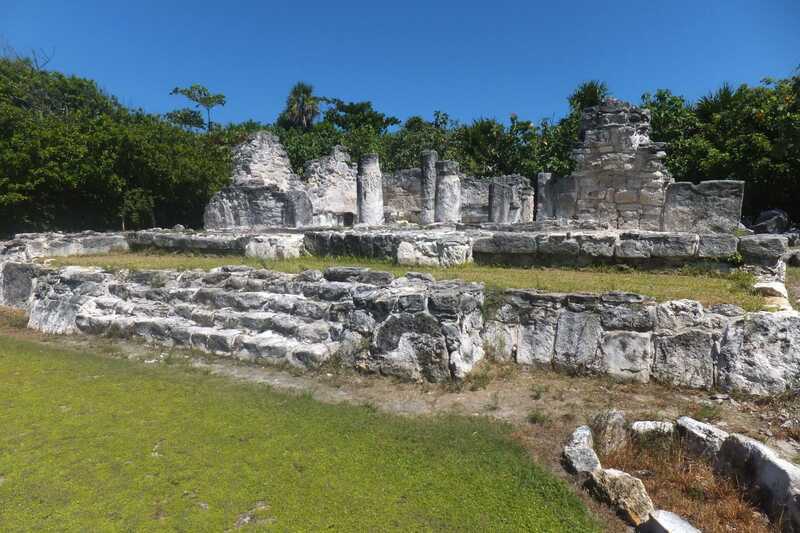 Only part of Chacchoben is open to the public, but the ruins are still some of the most visited in Costa Maya. 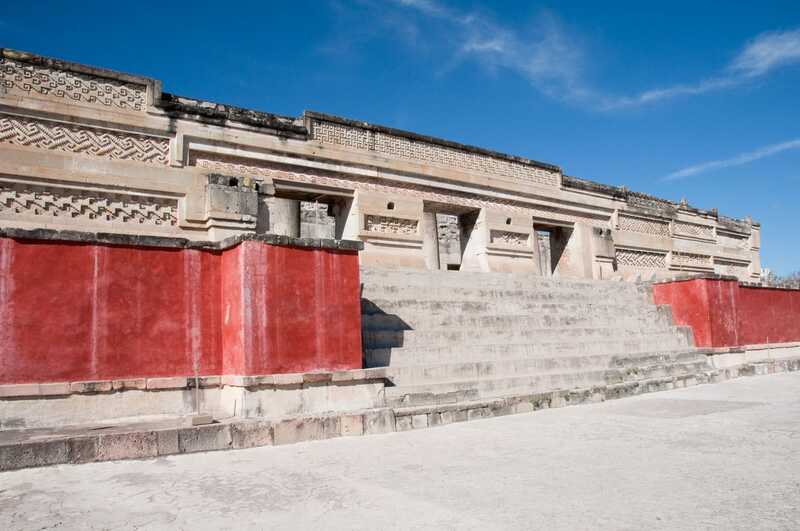 Many staircases and walls decorate the circular path, as well as three excavated and restored pyramids, with the largest one containing a Mayan hieroglyphic inscription. Because it’s surrounded by jungle, you might see everything from armadillos to spider monkeys. 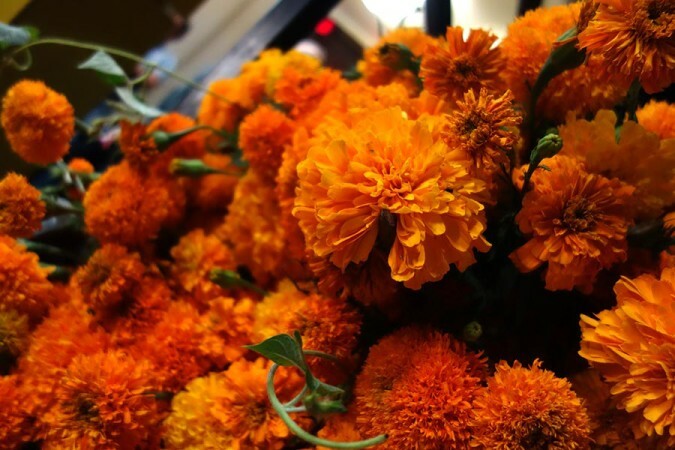 El Tajín is one of the best-preserved, largest, and most important cities of the Classic era of Mesoamerica. 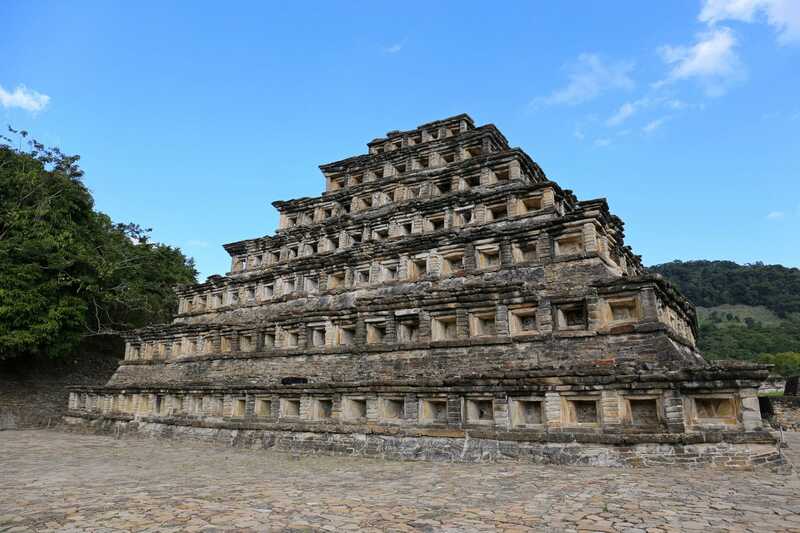 It’s most known for the Pyramid of the Niches as well as its reminder of Classic Veracruz civilization. If possible, try to visit late in the day because the reddening sky and sunset are absolutely unbelieve. Xochicalco was a cultural, religious, and commercial center for a variety of cultures, including the Mixtec, Aztec, and Toltec. With temples, palaces, sweat-baths, ball courts, stelae, and even a cave, it’s definitely a trip that’s worthwhile. And because it sits on a desolate plateau, the views stretch on for miles. Previously the capital of the Toltec Empire, Tula was a very significant regional center. 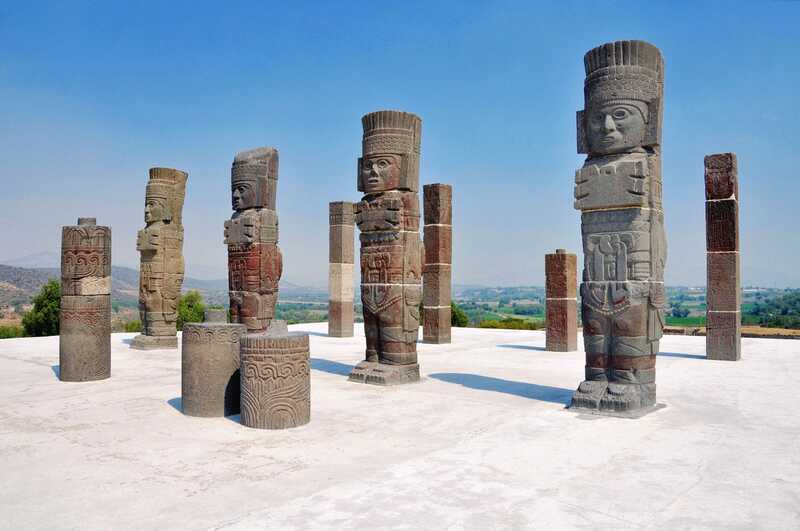 Today, it’s known for the Pyramid of Quetzalcoatl, which is topped by four four-meter high basalt columns carved in the shape of Toltec warriors. Along with the pyramid, the site also contains palace complexes and courts for Central America’s ritual ball game. If you have visited Chichen Itza, you might notice the artistic, architectural, and religious influences and similarities at the Tula site. If you’re visiting Mexico City, Templo Mayor should definitely be on the top of your list of things to see there. The excavated temple has been through seven phases of enlarging or rebuildings, and excavations are still going on throughout the site. The Aztec’s literally believed it was the center of the universe, and the on-site museum gives great insight into their civilization. Mitla was the major political and religious centre of the Zapotec Civilisation after Monte Alban was abandoned. 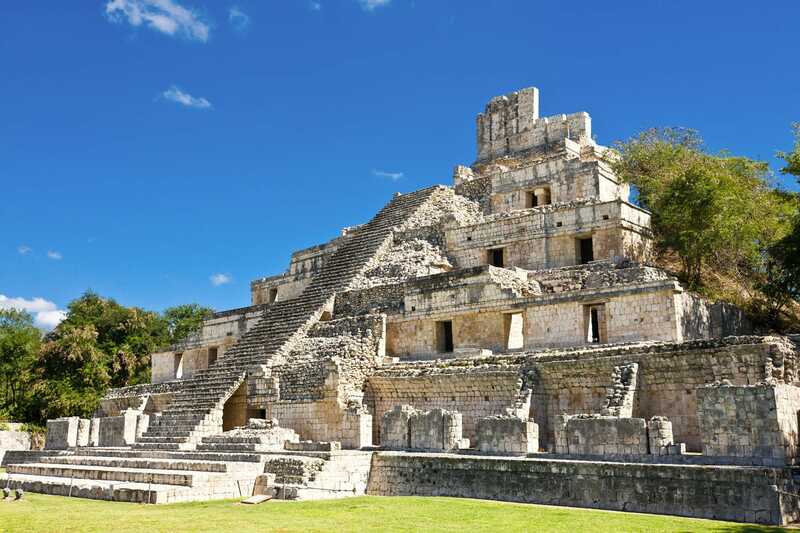 Today, only five groups of structures remain, but they are some of the finest ancient ruins in Mexico, if not the world. 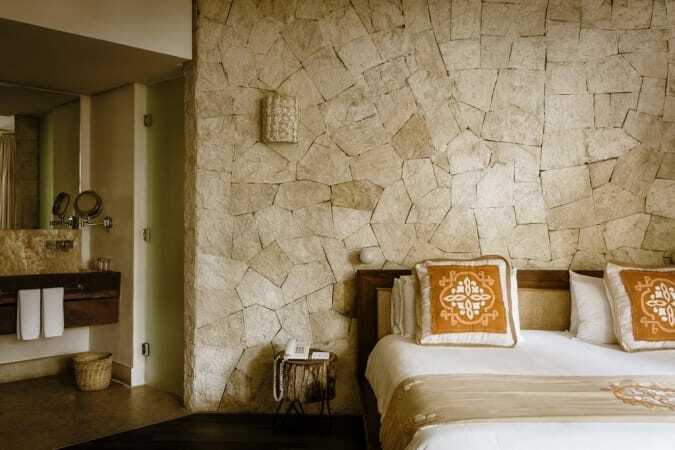 There are many complexities within the impressive building designs, but Mitla is most known for the intricate geometric stepped-fret designs throughout the buildings. Though it’s one of the smaller and more compact sites, Labna has many unique features that contribute to its UNESCO status. 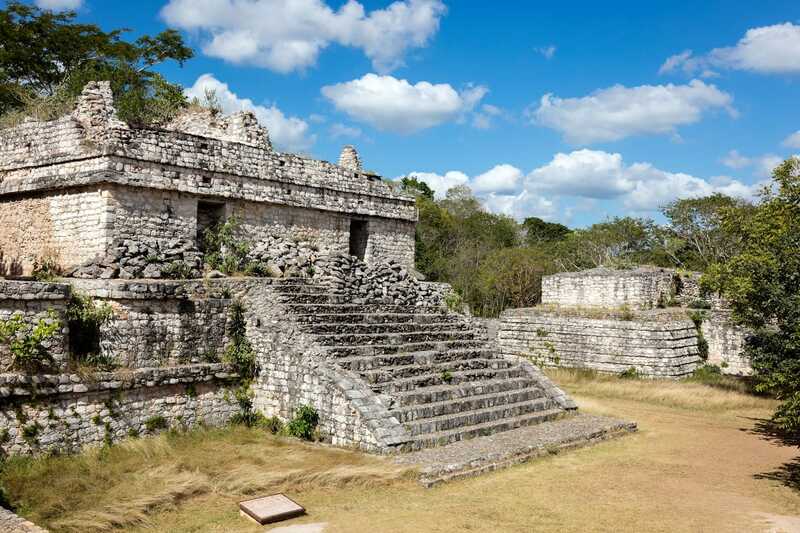 Its main structure is a two-story palace that is about 120 meters in length, making it the longest in the Puuc region. The best ruins in Mexico are all packed with history and uniqueness, and offer unmatched cultural experiences. 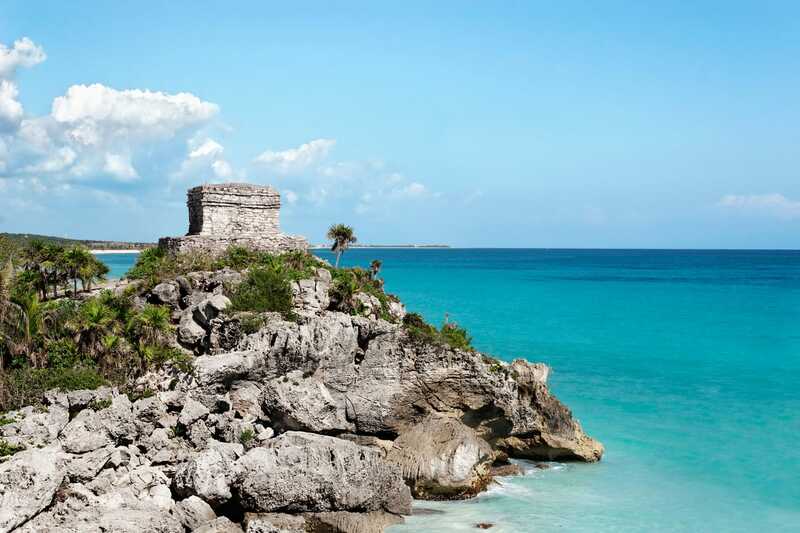 Whether you’re heading to Cancun, Tulum, or Mexico City, impressive ruins await nearby. 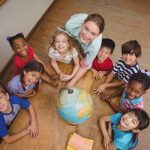 Great picks! 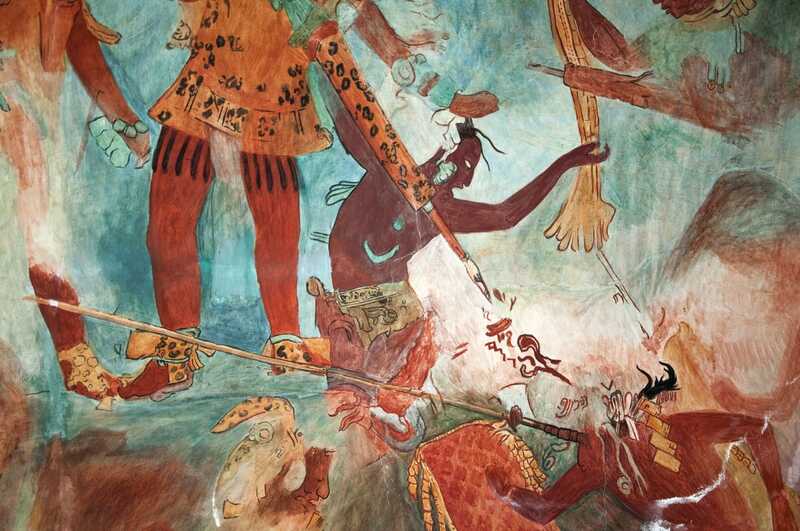 I’m especially intrigued by the photo of the painting in Bonampak. And I’ve been meaning to visit Chacchoben in the southern Yucatan, as I’m a frequent visitor to Xcalak, a small beach town nearby. Worth noting: there’s no public transit or collectivos to get to Ek Balam, so you need to haggle a taxi or rent a car to get there. Sadly I have only been to a few of the list. I am however surprised that Comacalco didn’t make the cut whereas Xochicalco (a really, really, really tiny platform) did. Comacalco is unique because it is the only pyramid in Mexico that is made out of red brick. I have unfortunately not visited it yet, but I might do it this October. Templo Mayor is sort of a sour-and-sweet experience in my opinion. While archeologists have done a maervlous job in digging beneath the ruins and have found a few secret passageways with interesting things inside, 80% f this structure was destroyed by the Spanish 500 years ago. The mortar of the ruins were used to build the catholic church adorning the adjacent Zocalo square. I am personally more in favor of Tlatelolco pyramids and the place doesn’t have tourists! 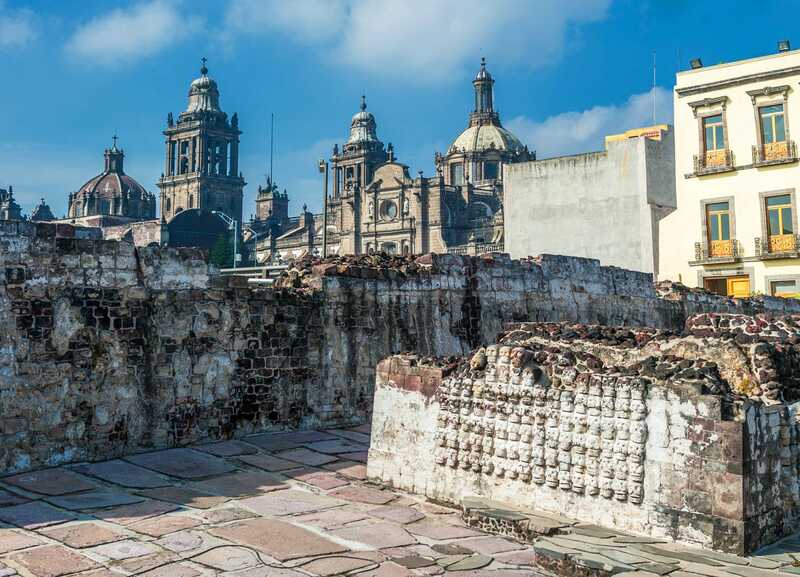 Most of the structures are intact and the plaza de las 3 culturas is really surreal because it’s a mixture between ancient Aztec pyramids, Spanish churches, and retro 1970’s apartments. 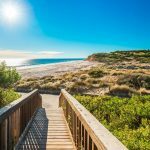 Very interesting and mostly off the radar for most tourists.